This summer has been a whirlwind of activity and I haven't had much time at all to experiment with makeup. 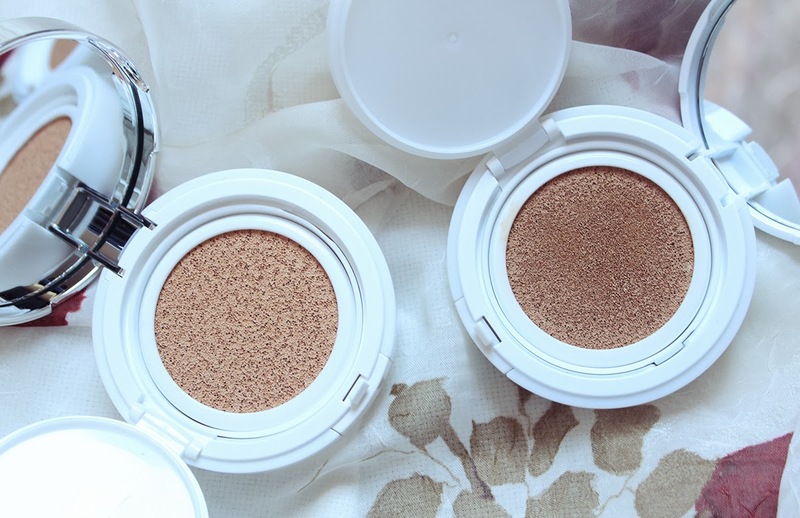 These are the beauty products that have been firm favorites as of late. There are a few old rediscoveries and as well as some new items that I've never shared on the blog before. A brand new love is the Alba Botanica Hawaiian Body Scrub which I picked up on a whim from Wegman's while hanging out in Ithaca. This sea salt scrub has a refreshing citrus scent and a blend of lovely oils that linger on the skin after a shower. I prefer body scrubs that leave a moisturizing layer of oil and I'm happy to find an affordable one from the drugstore. 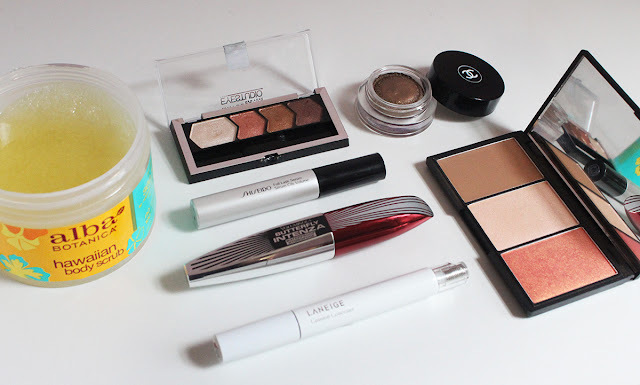 I've been playing around with a few different foundations and tinted moisturizers for my base but for under eye concealer I've been loyal to the Laneige Cushion Concealer*. 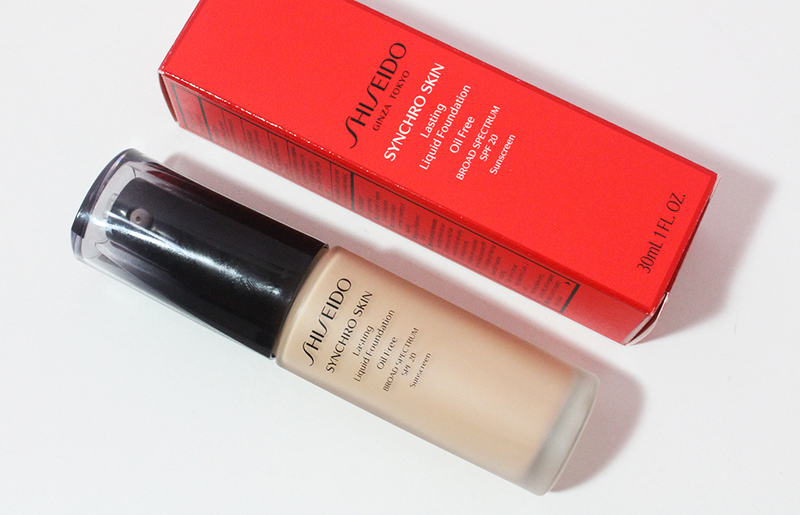 This click type concealer out performs even my beloved Shiseido Sheer Eye Zone Corrector because it has higher coverage to cancel out darkness under my eyes. Contouring has been a daily part of my makeup routine even though the newest fad is strobing (a.k.a glorified highlighting). My contour of choice these days is the bronzer from the Sleek Face Form Contouring and Blush Palette in Light. The color is just right for a natural contour with my current summer skin tone and the powder blends out brilliantly. 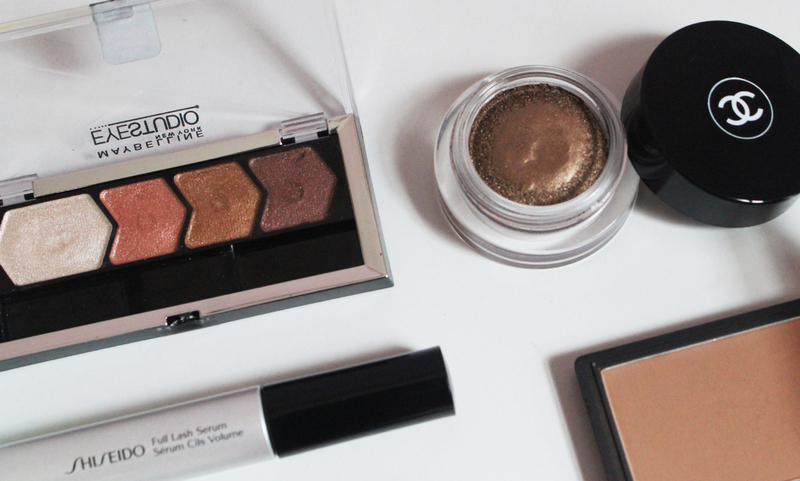 For eyeshadow I've been relying on the Chanel Illusion D'Ombre in Mirage heavily. It's a shimmery brown cream that applies quite sheer so it's suitable for everyday. On days when I have a few more minutes to get ready, I've been layering the darkest brown shade from the Maybelline Eyestudio Quad in Copper Chic on the outer edges of my eyes and the pearly cream in the inner corner. To counteract all the shimmer, I'll apply a matte brown shadow in my crease which is usually the Wet n' Wild Vanity shadow I raved about here (not pictured in this post). My lashes have been getting a lot of love in the last few months thanks to the new Shiseido Full Lash Serum*. For a long time I've been intrigued by eyelash growth products but they're often very costly and most of the brands can be rather sketchy. I was stoked when I found out Shiseido was releasing a $35 lash serum and it's no surprise that this is a top seller in Japan. I've been using this lash serum mostly at night for the last two months and it's been great. My lashes have definitely grown in length and overall I look like I have more lashes. You're supposed to use this day and night but I'm a bit lazy in the morning and I'm already seeing good results by using it once a day. I'm pretty sure I'll be buying another tube once I run out of this one. You can't really tell a huge difference in my bare lashes but once curled and mascara'ed, the lash serum's results are evident. Another product that my lashes love is the L'Oreal Voluminous Butterfly Intenza Waterproof Mascara. I didn't expect to like this mascara because the last one I used was the L'Oreal Voluminous Butterfly Waterproof Mascara (not the Intenza one) and it was very lackluster. 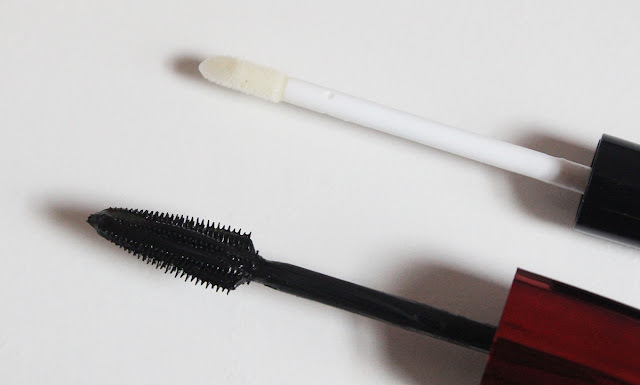 The Intenza formula works way better for my lashes. It separates my lashes perfectly, adds length and holds a curl very well. It's definitely one of my top three mascaras right now. I forgot to include a couple of lip products I've been liking but perhaps I'll do a roundup of those later this month. What have you been enjoying this summer? *Products marked with an asterisk were provided by PR for consideration. This is not a sponsored post and all opinions are 100% honest.